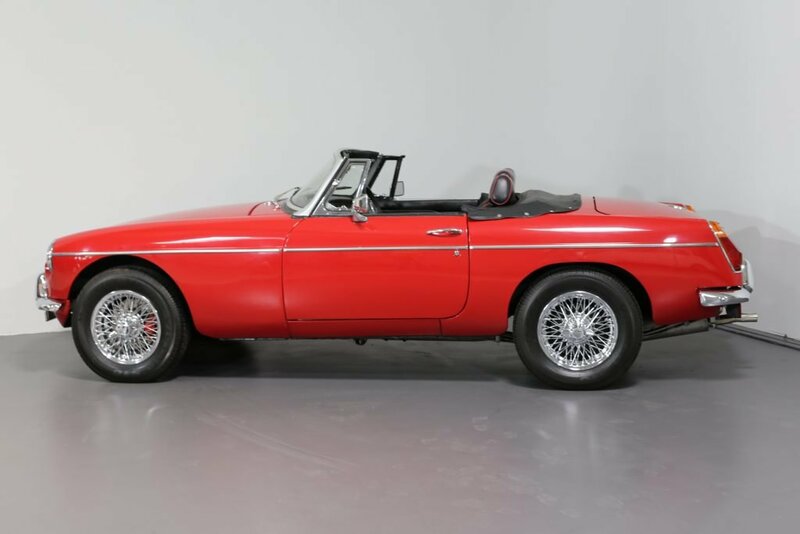 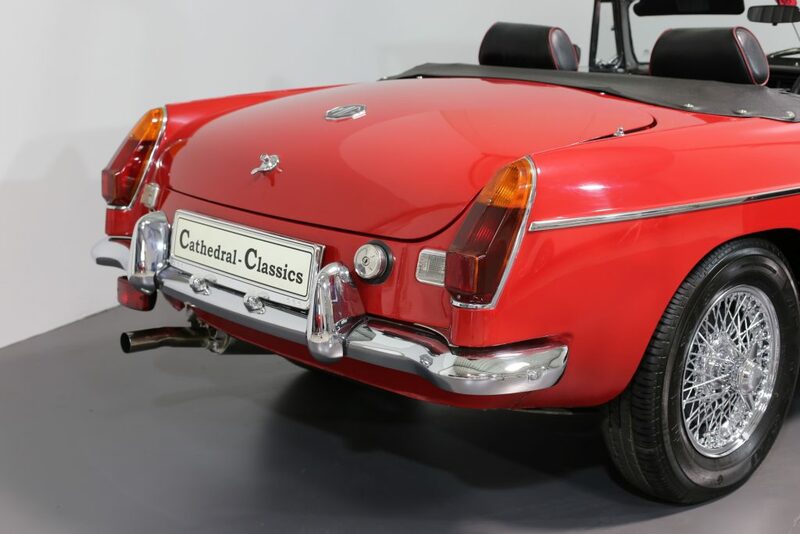 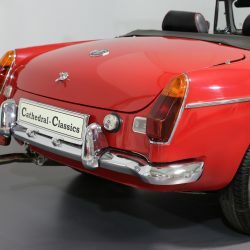 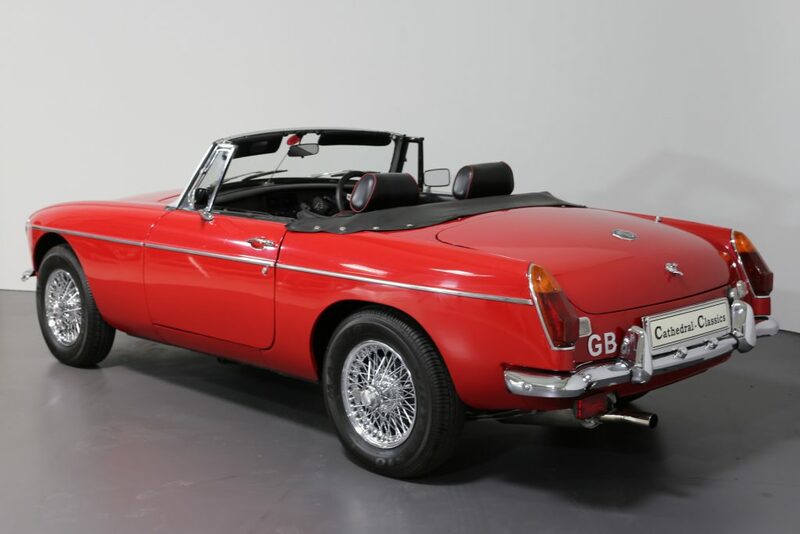 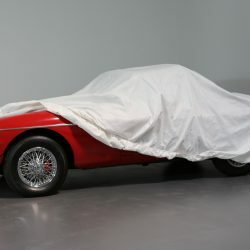 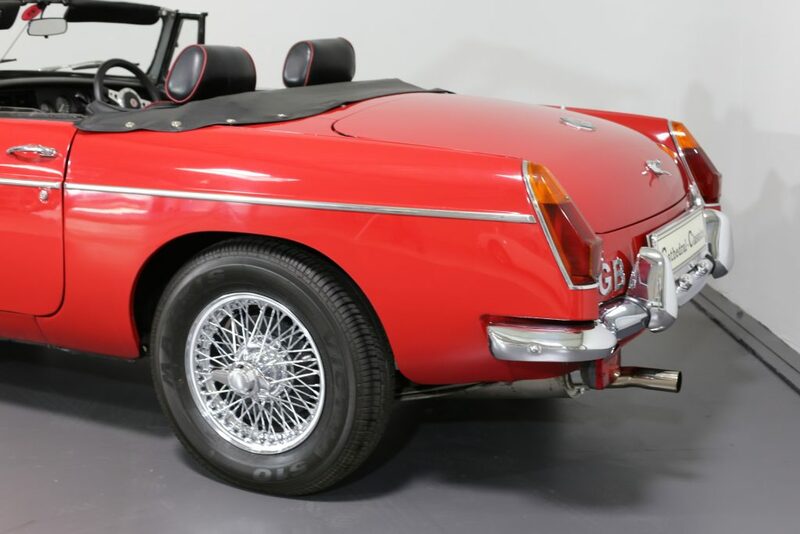 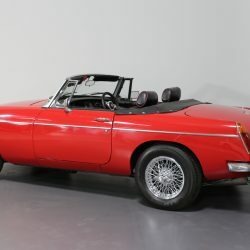 A cherished and pampered MGB Roadster with interesting history. 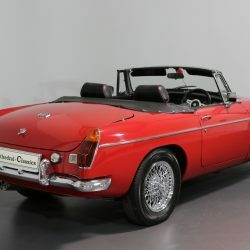 HISTORY FILE - Registered new on the 22nd November 1977 (UPC490S), this converted example has led a cherished existence. 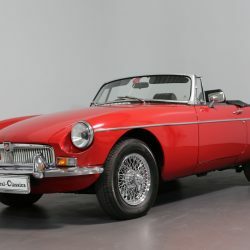 The car was purchased in July 2003 by a mechanical engineer who used his prowess to create a wonderful example of the ubiquitous ‘B’ which any new proud owner could just get in – and drive! 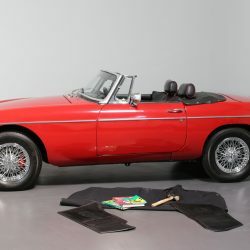 The car wanted for nothing during his 12 year ownership with a huge amount of receipts to back up his passion. 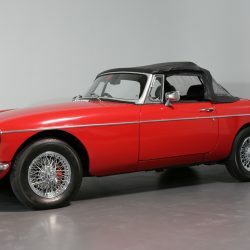 Sadly, no longer with us, he was an active member of the Glasgow MGOC and the car is a credit to the man and his love for the brand. 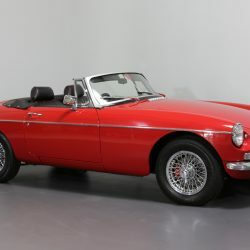 The last owner of some three years has continued to maintain this wonderful example with the same vigor and enthusiasm which is again backed up by meticulous receipts neatly filed. 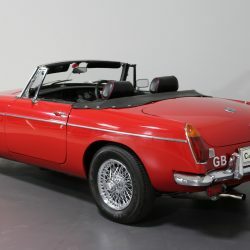 Due to a change in circumstances, the car should now find a new owner who will be thrilled to take over such a wonderfully maintained example. 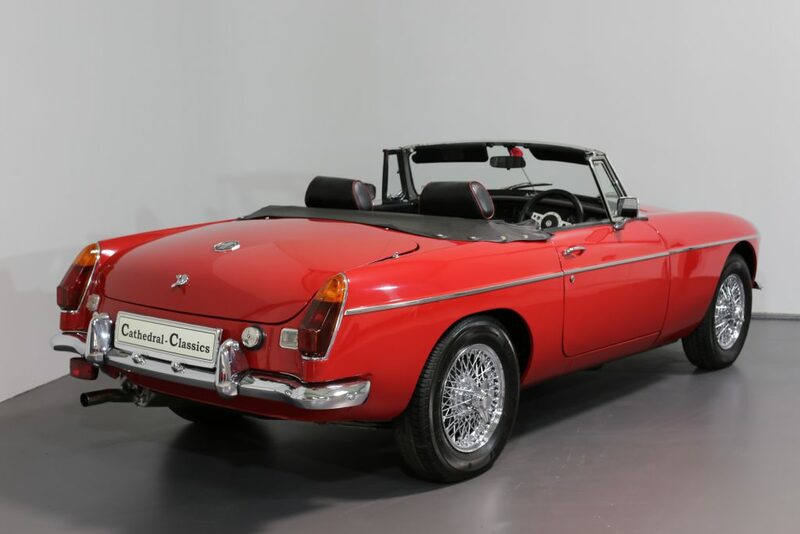 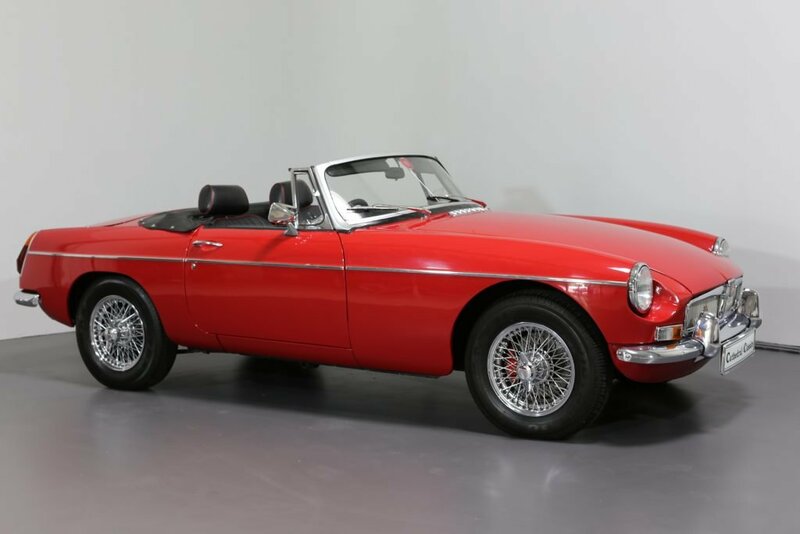 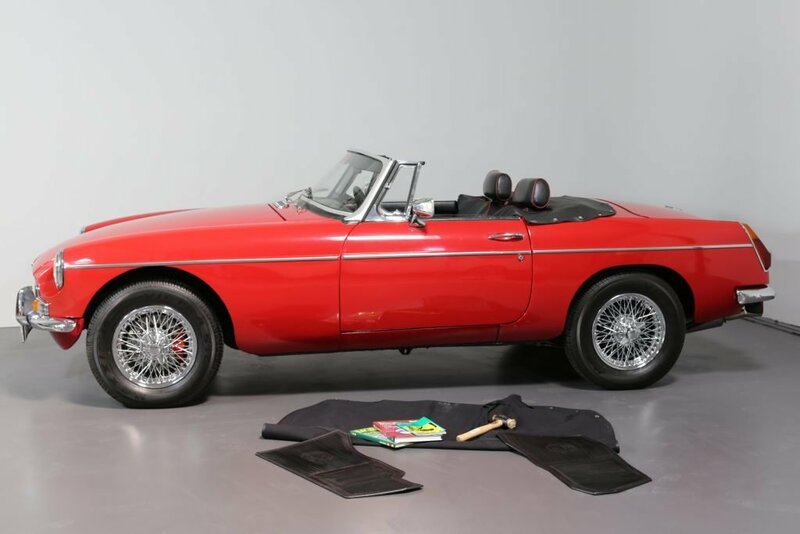 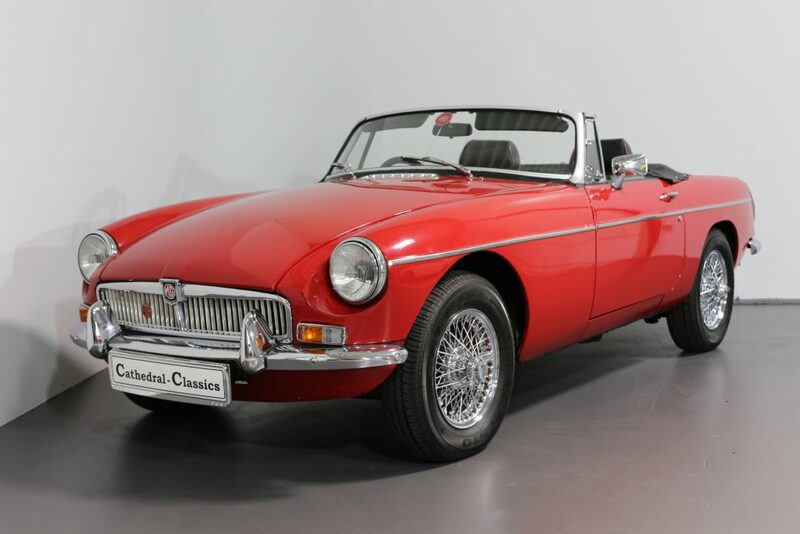 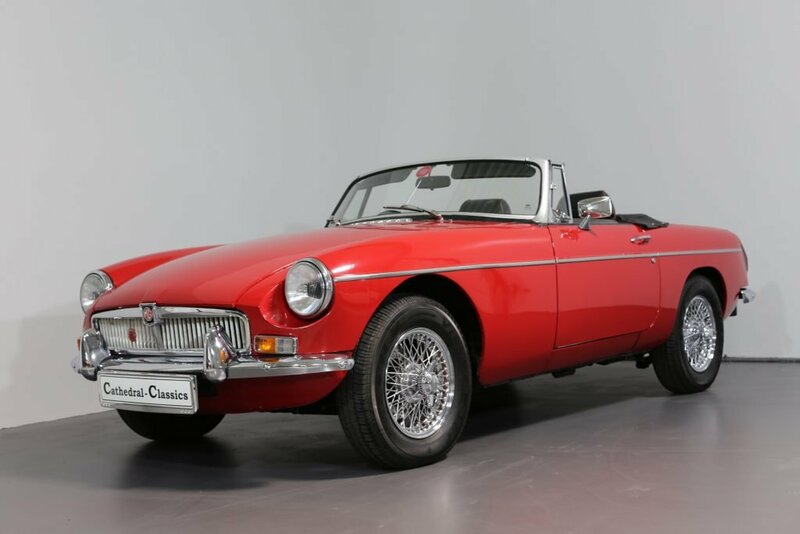 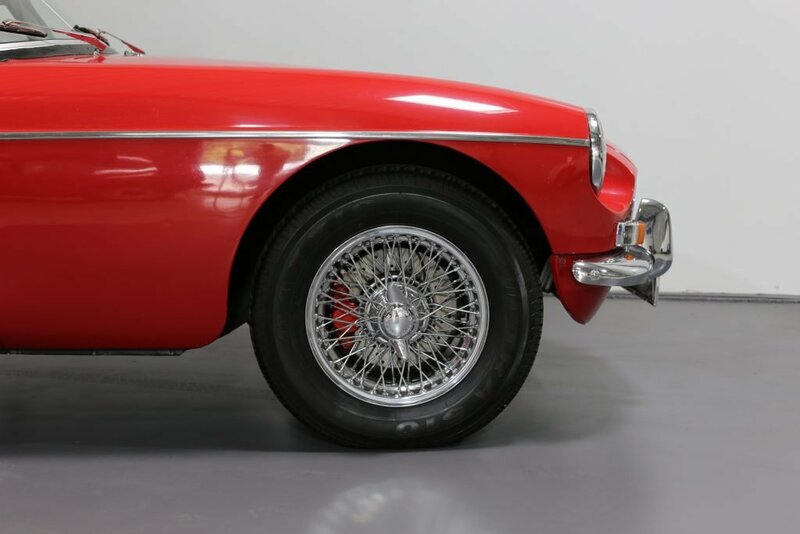 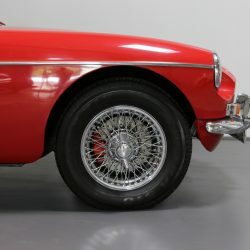 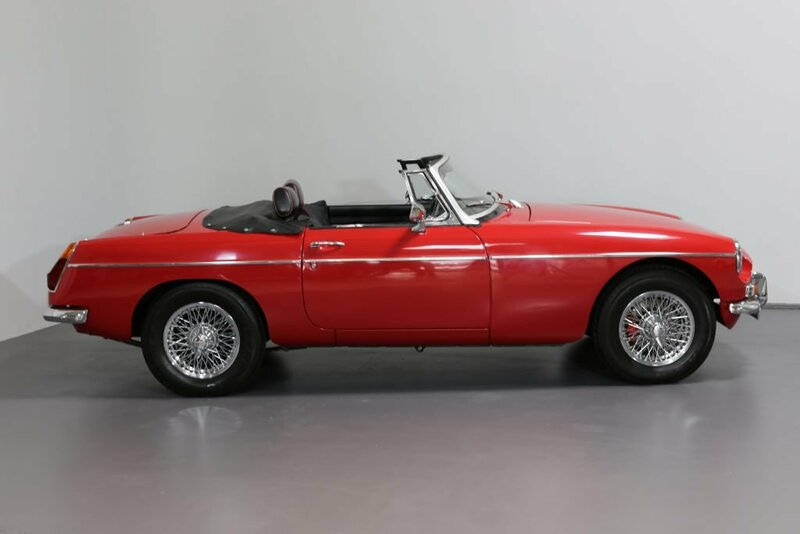 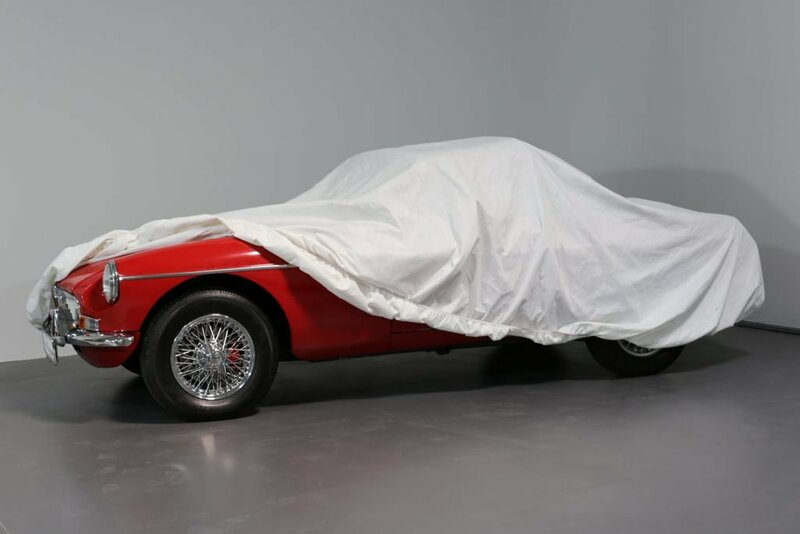 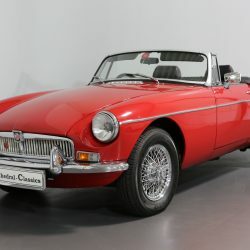 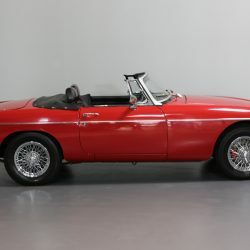 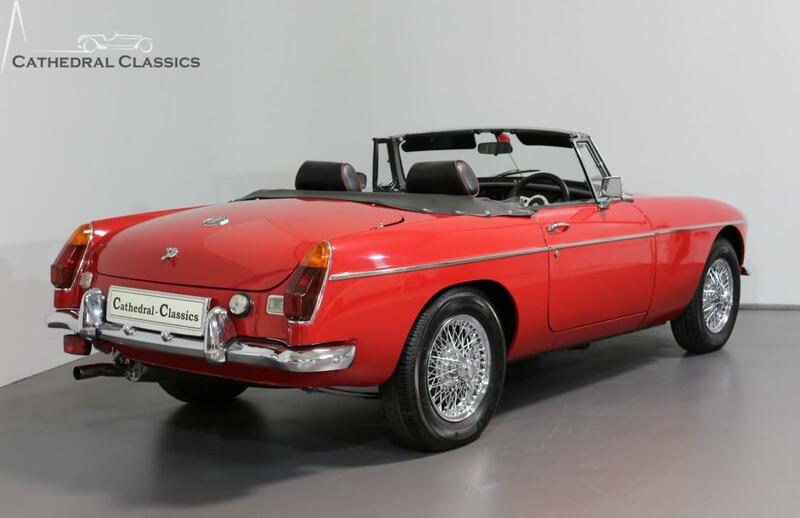 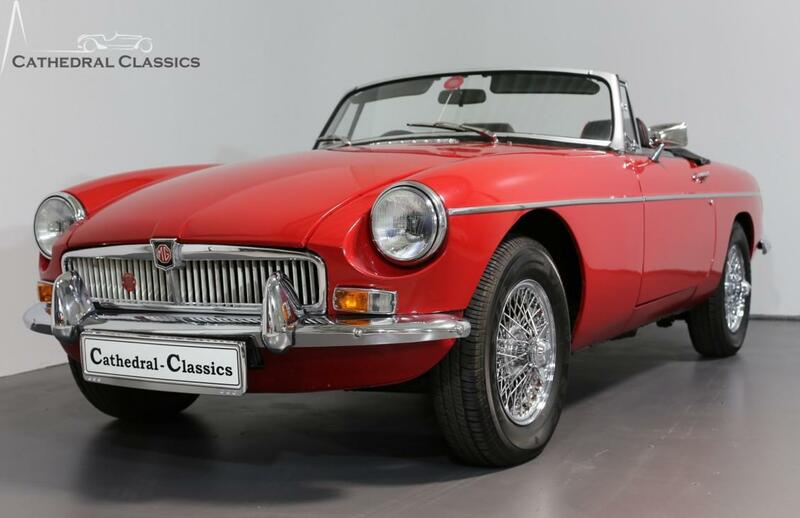 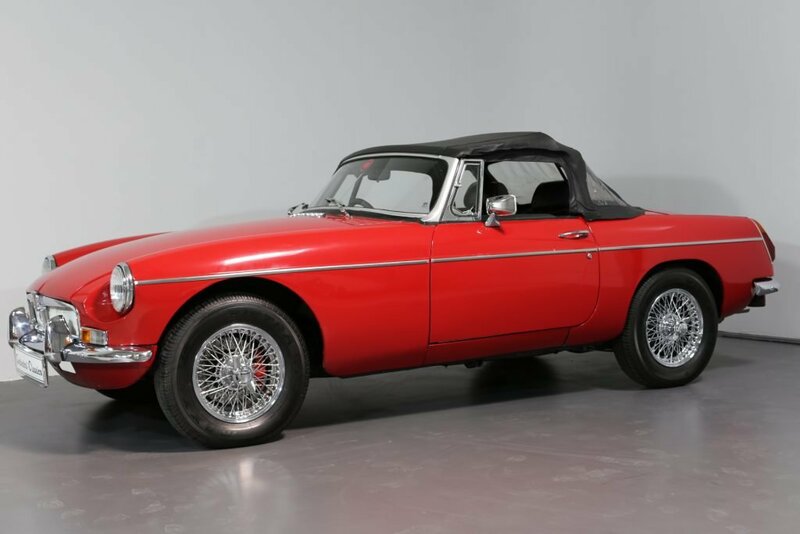 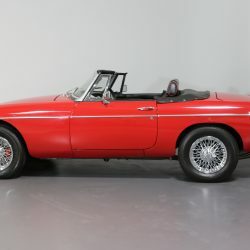 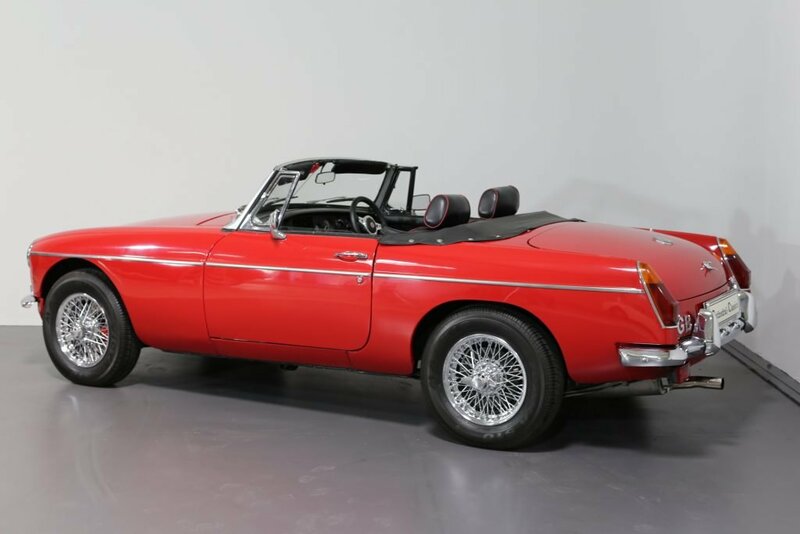 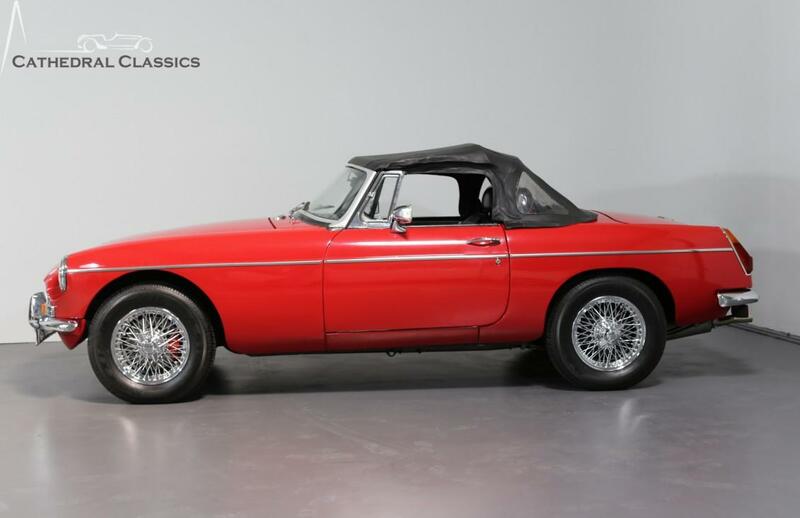 EXTERIOR – Finished in MG’s popular Tartan Red, this Roadster presents well with a bright polished shine and good finish following a full body off respray around 2002. 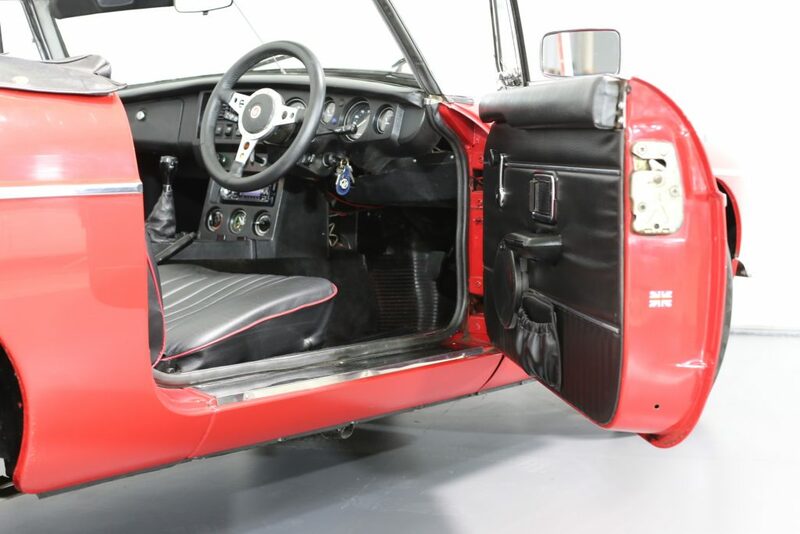 All the panels are damage free and structurally excellent, but there are a few tiny paint blemishes at the rear left wing beadings. 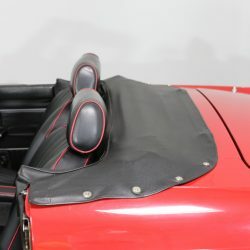 The replacement chrome bumpers and trim sections are in fantastic order and the black hood is also in super condition. 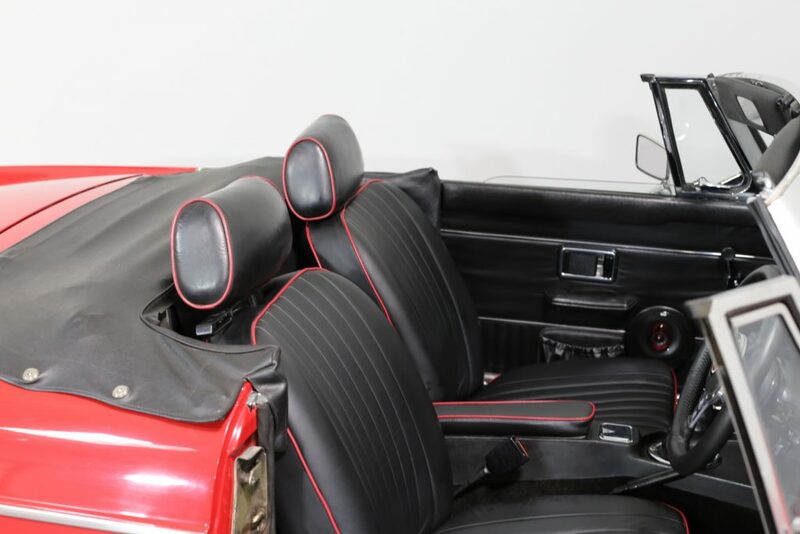 All the chrome embellishments are shiny and intact with both tonneau covers, half and full, in top order. 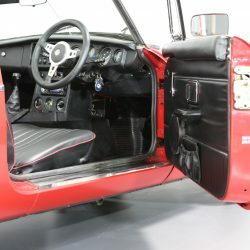 Both doors shut clean with no adjustments required. 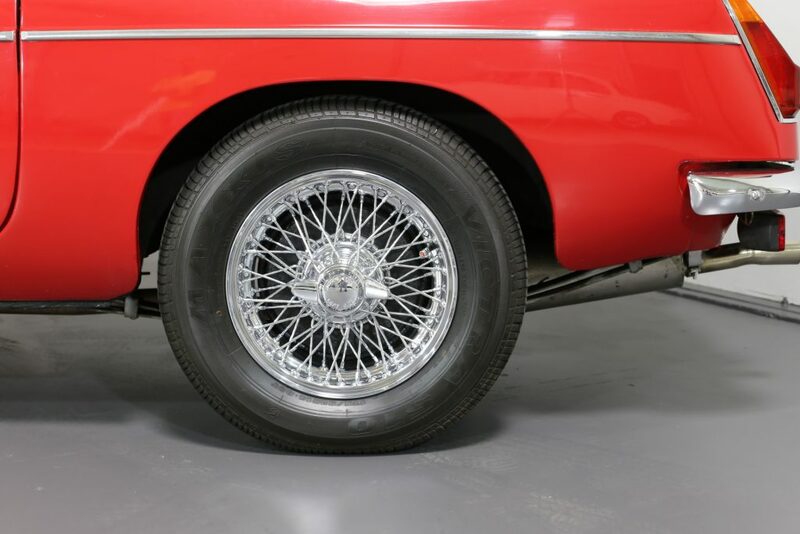 Gleaming new chrome wires make this example a real head turner. 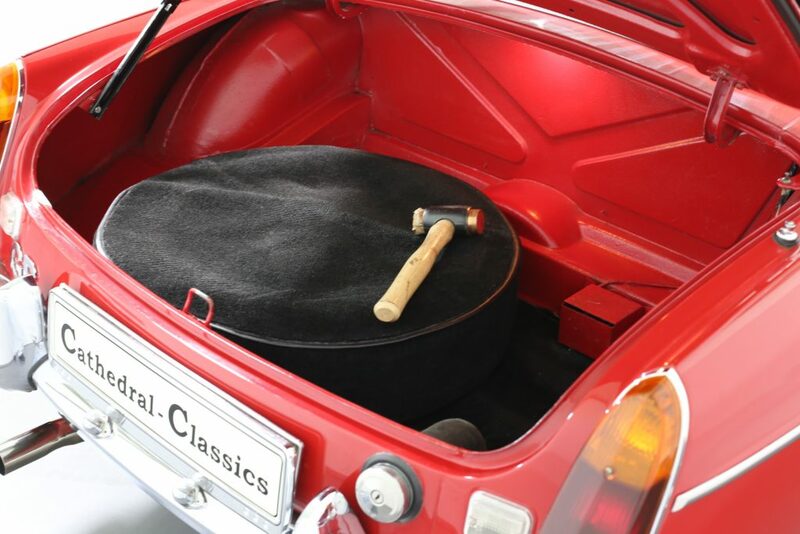 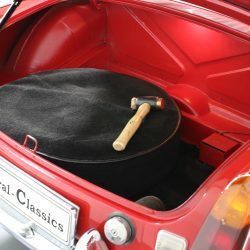 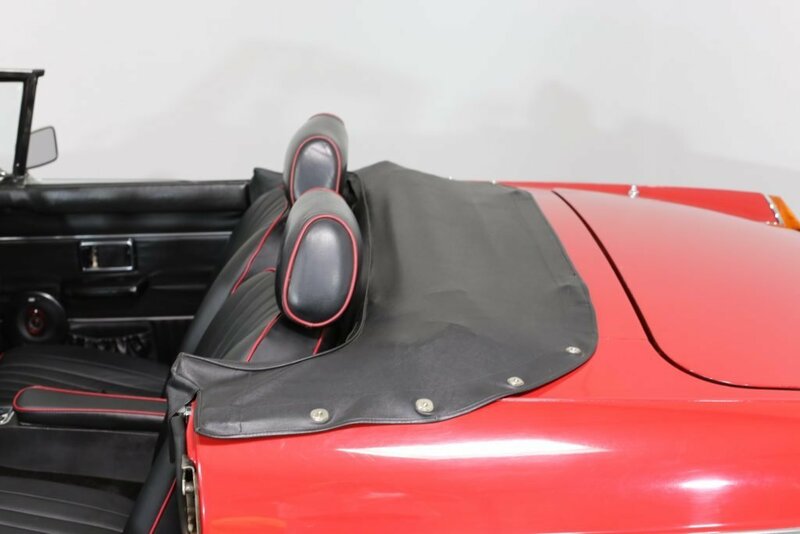 As depicted, the car also comes with an indoor dust cover. 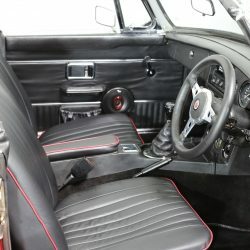 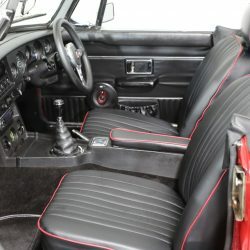 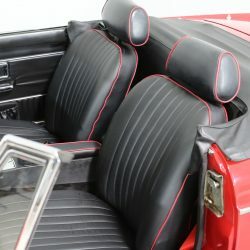 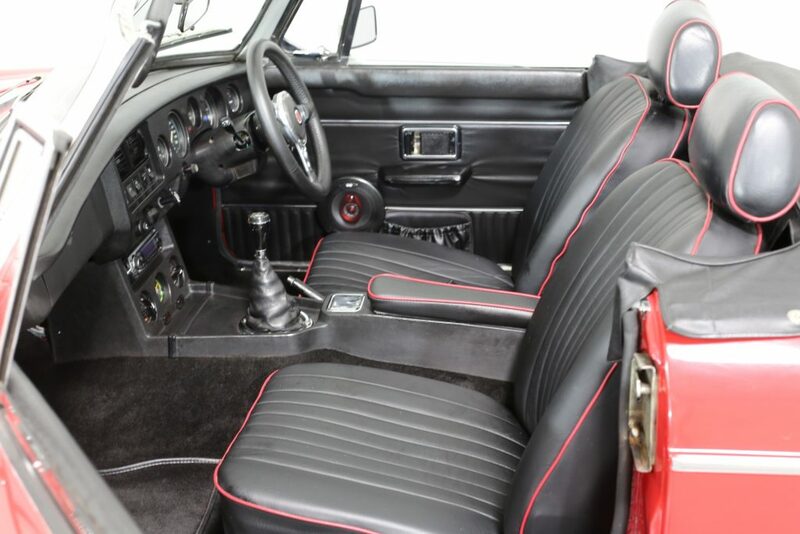 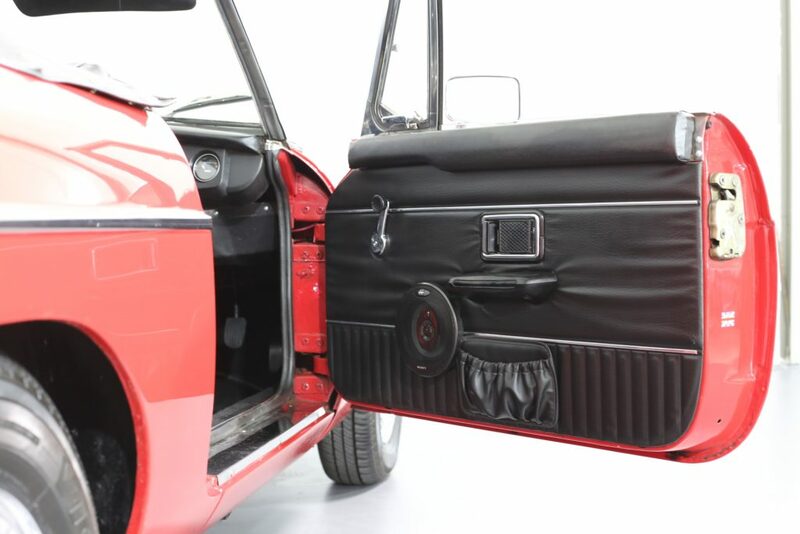 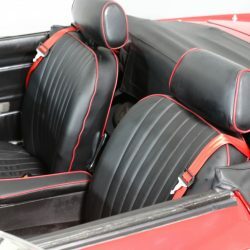 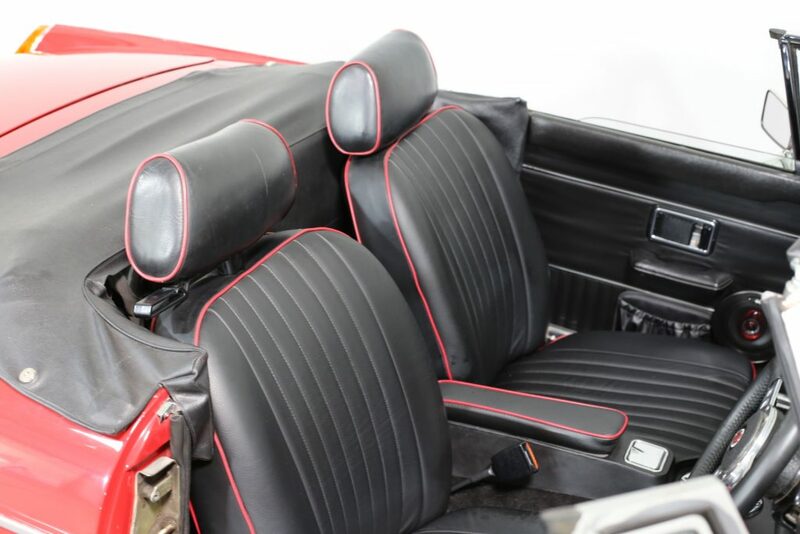 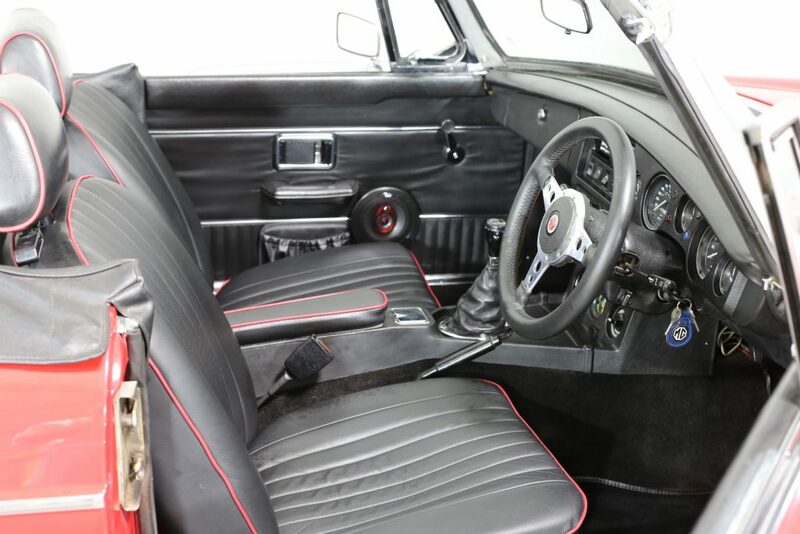 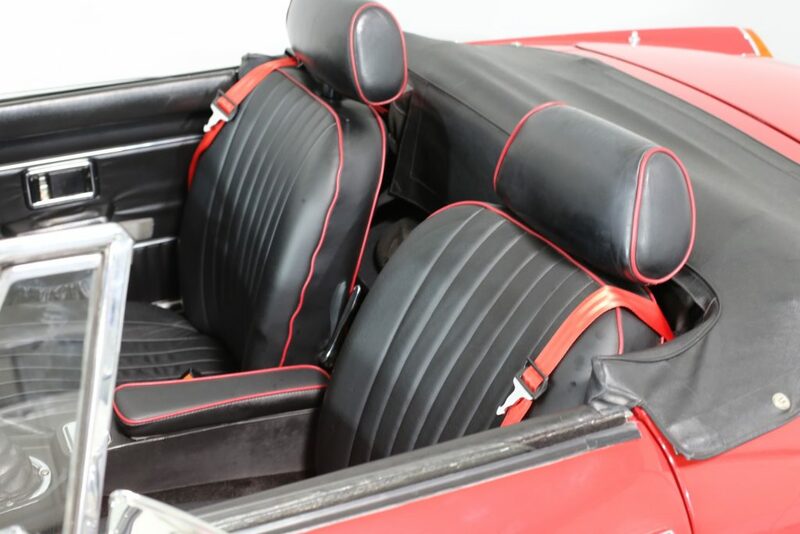 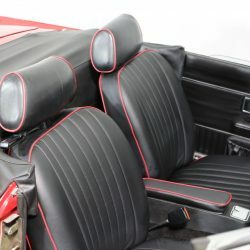 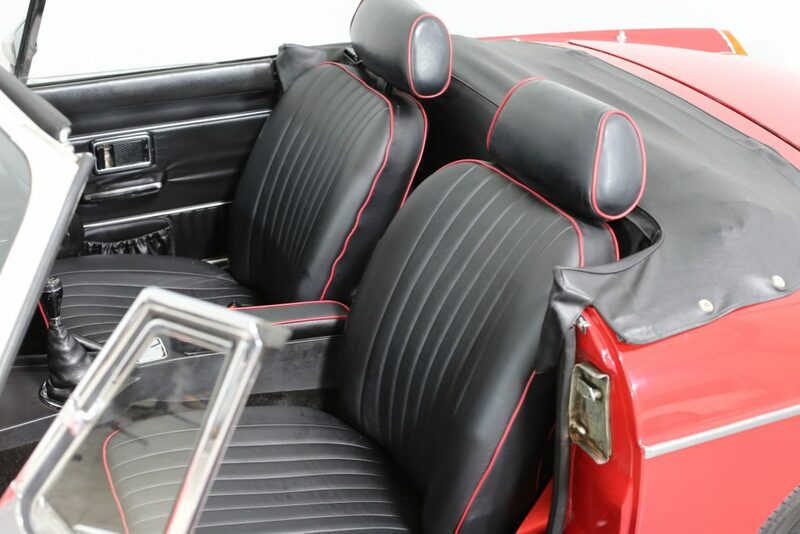 INTERIOR – The factory original seats have recently been replaced with black high quality leather covers with red piping, including the renewal of the foam inserts. 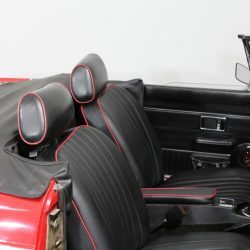 Both seats recline correctly! 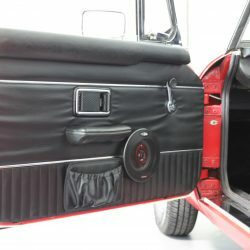 The red theme continues with new inertia red seat belts. 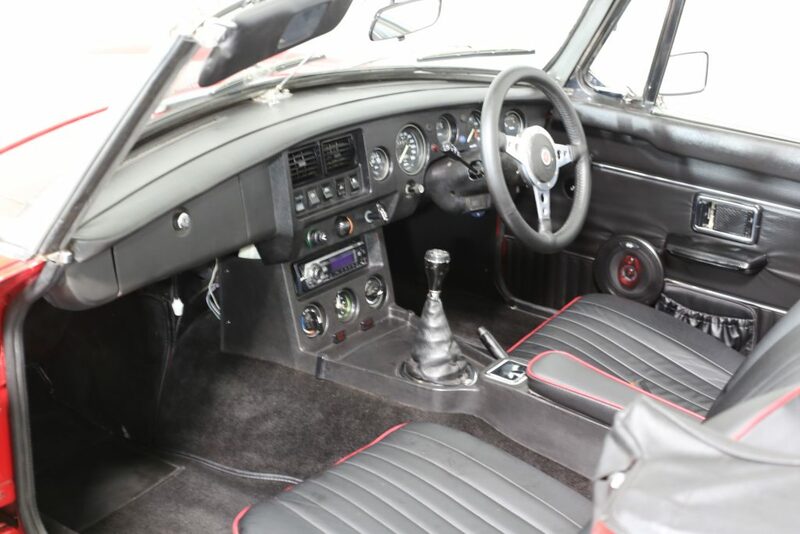 All the controls, gauges and switches set in the perfect crackle finish fascia function correctly. 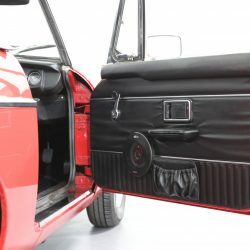 A modern radio/cd player is an added bonus with quality door and rear speakers fitted behind both seats. 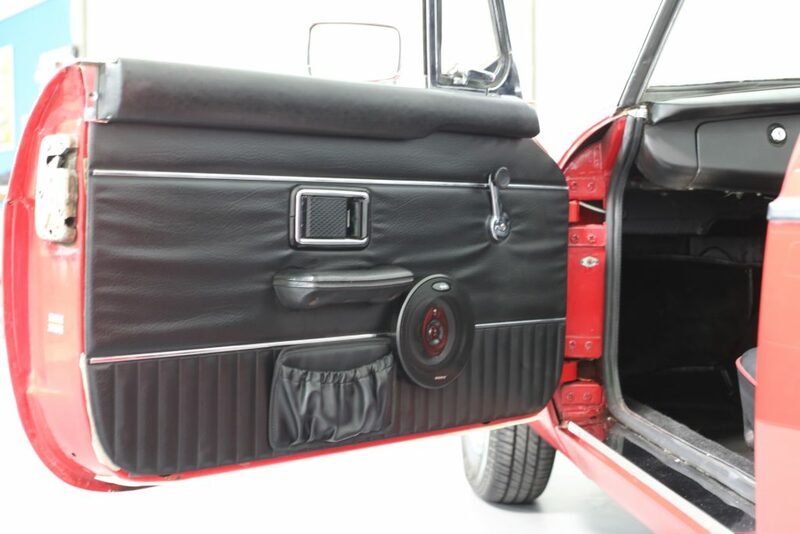 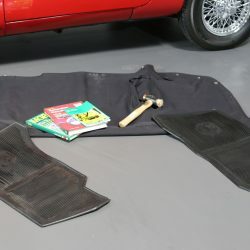 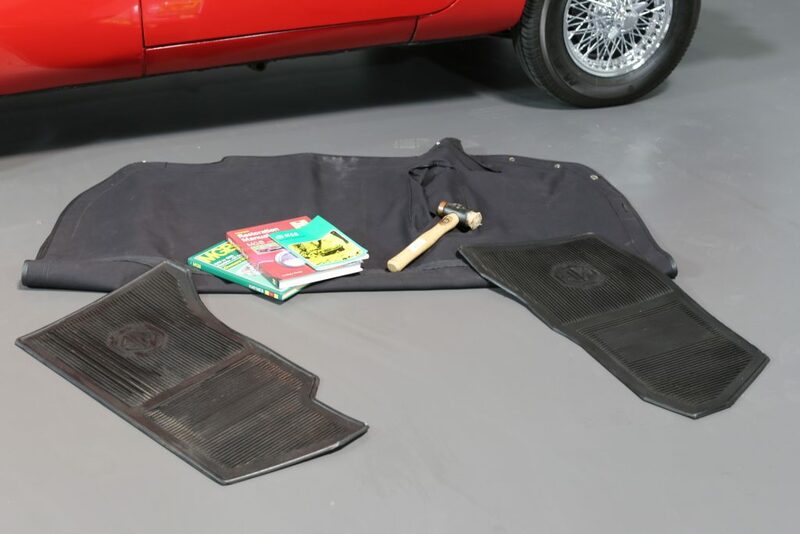 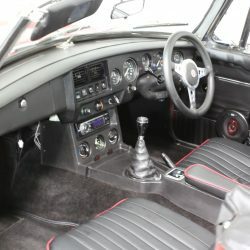 All interior carpeted areas present well with additional MG rubber mats. 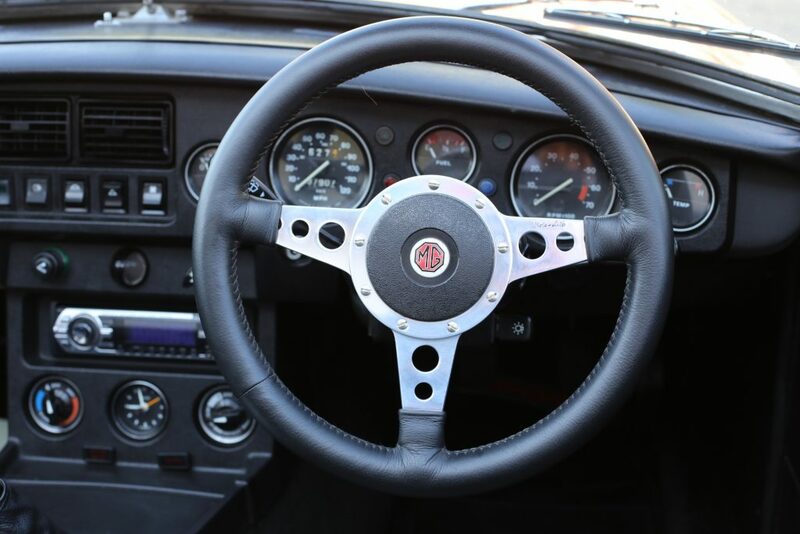 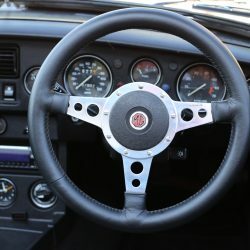 A ‘tight’ MGB Roadster experience with new leather Mota-Lita in your hands. 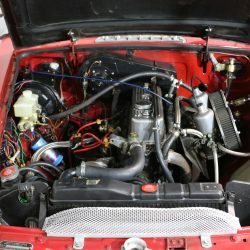 ENGINE & TRANSMISSION – This four cylinder engine with a five bearing counterbalanced crankshaft produces 84bhp at 5250rpm and offers ample performance for daily use. 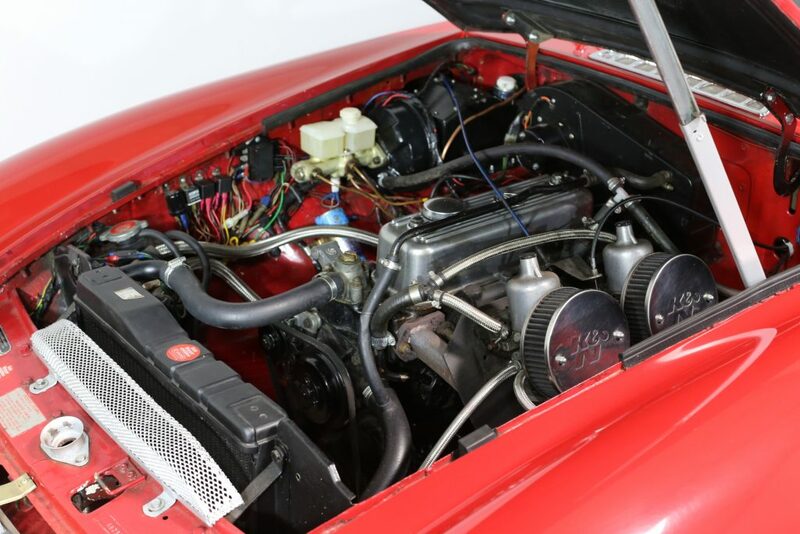 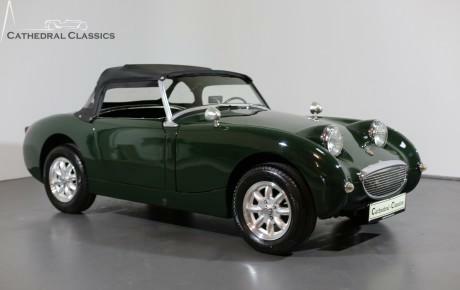 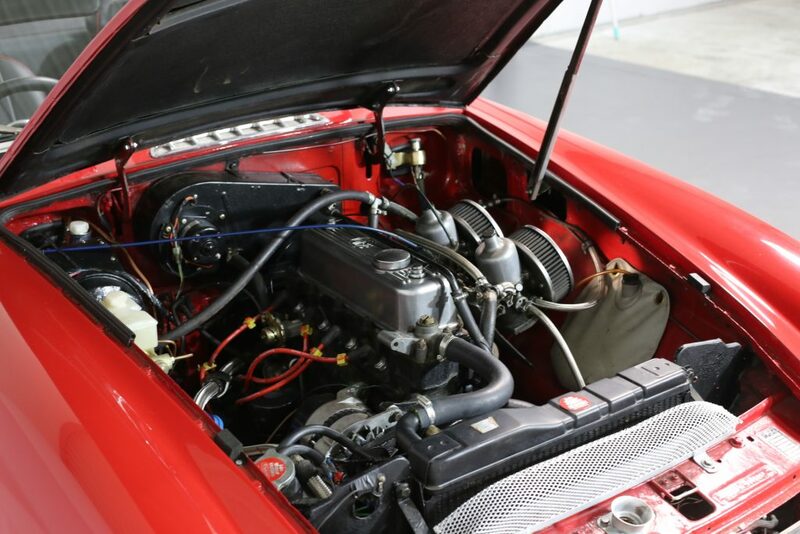 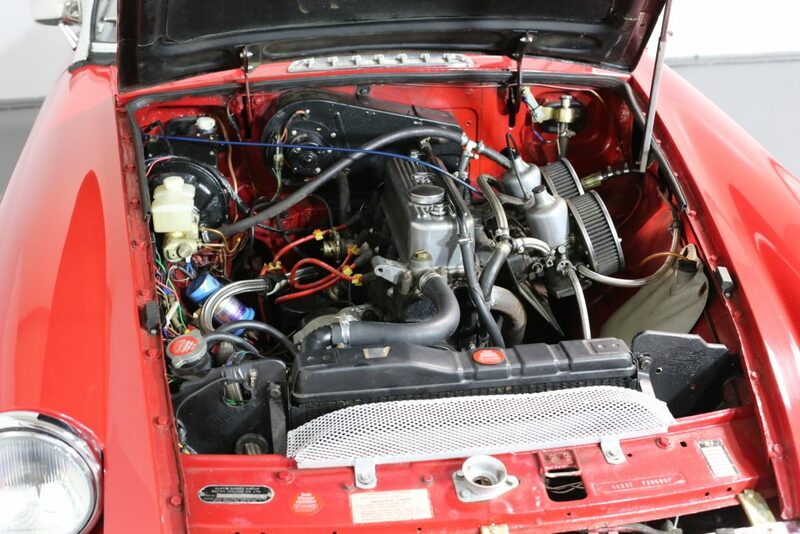 The tough, well proven BMC ‘B’ series engine is a simple unit with brilliant access and fantastic parts availability, every classic car owners dream! 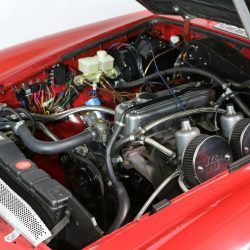 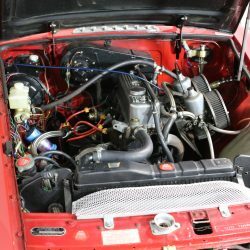 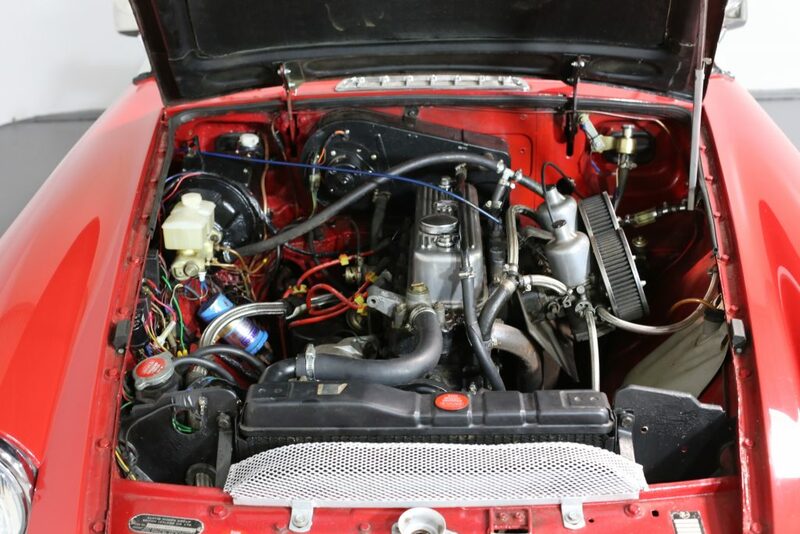 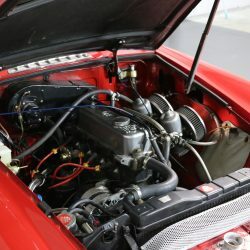 This replacement engine benefits from a complete rebuild in 2004, maintained by a previous engineer owner who put his heart and soul into the car. 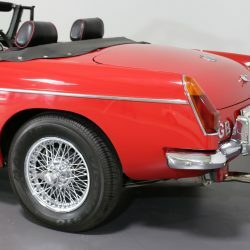 The last custodian has continued the upkeep over the last three years with new: pre-engage starter motor; alternator; oil cooler; radiator and Revotec fan; front & rear Parbolic springs; clutch master cylinder plus much, much more.. 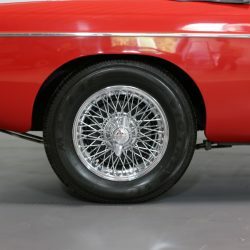 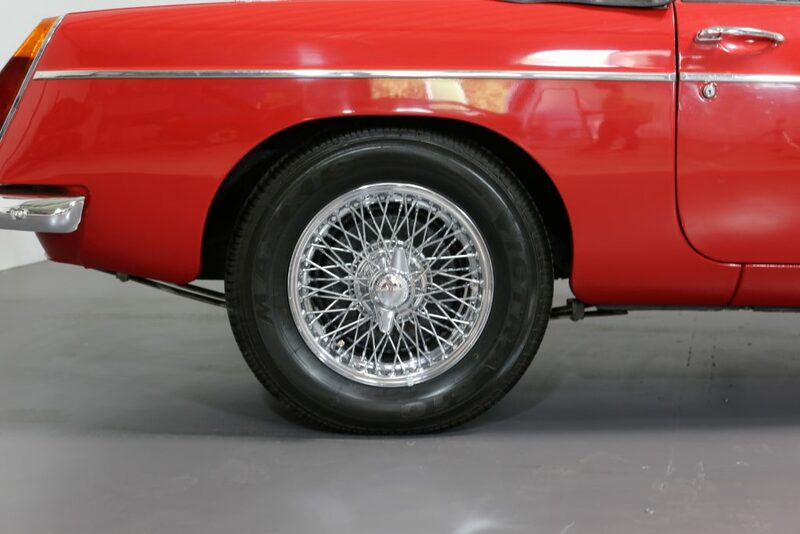 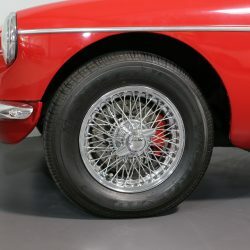 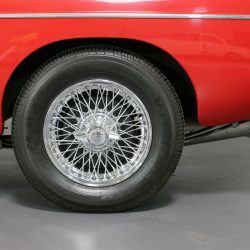 WHEELS, TYRES & BRAKES – The gleaming new chrome wire wheels are fitted to the Victra 175/80 R14 tyres. 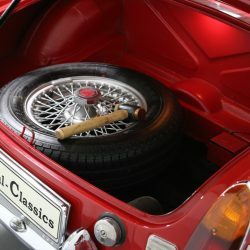 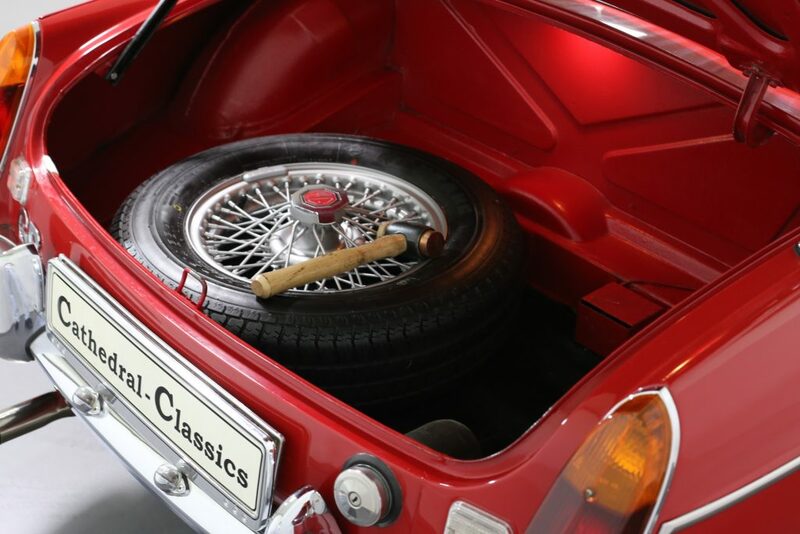 The boot mounted wire spare (steel) is present and also boast a new tyre. 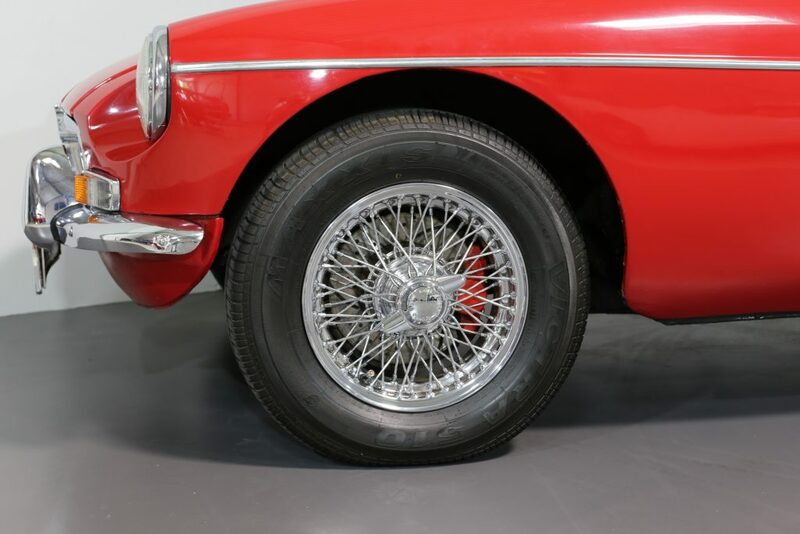 The brakes were overhauled as recently as February 2018.